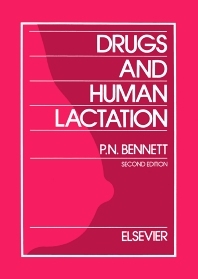 Now in its second edition, Drugs and Human Lactation is a comprehensive guide to the content and consequences of xenobiotics and micronutrients in human milk, and remains by far the most thorough and extensive work available on this subject. The excellent methodology used for the compilation of the 1st edition has been retained. It begins with an outline of the processes by which substances enter milk during its formation, the effects of drugs on the milk production process, the main determinants of drug excretion into milk and their disposition in the child. There follows an analysis of current data on 234 individual drugs, describing the extent of their passage into human milk, and assessing the risk to the suckling infant. Vitamins and essential trace elements, and radiopharmaceuticals are similarly reviewed. Also included is an account of the factors that influence the passage of environmental and occupational chemicals into milk. The result is a complete overview of what is known and proven, with clear pointers to matters which require further study, and brings the various subject areas up to date. Risks, uncertainties and false alarms which exist have been defined in such a way that they can be avoided. Once again, Drugs and Human Lactation provides a comprehensive guide to the content and consequences of substances in milk. The volume will provide a rational basis for making therapeutic decisions in women who seek to breast-feed. Reproductive Immunology on the first edition: ...a superbly written compendium of reliable information and sensible conclusions and recommendations. List of contributors. Preface. 1. Is breast best? Milk and formula feeds (L.J. Notarianni). 2. Effects of drugs on milk secretion and composition (M.C. Neville and C.T. Walsh). 3. Determinants of drug transfer into human milk (E.J. Begg). 4. Determinants of drug disposition in infants (A. Rane). 5. Use of the monographs on drugs (P. Bennett). 6. Monographs on individual drugs (P. Bennett, I Matheson, L.J. Notarianni, A. Rane, D. Reinhardt). 7. Vitamins, minerals and essential trace elements (C.J. Bates, A. Prentice). 8. Radiopharmaceuticals (P.J. Mountford, C.R. Lazarus, S. Edwards). 9. Environmental and occupational chemicals (A.A. Jensen). Index.